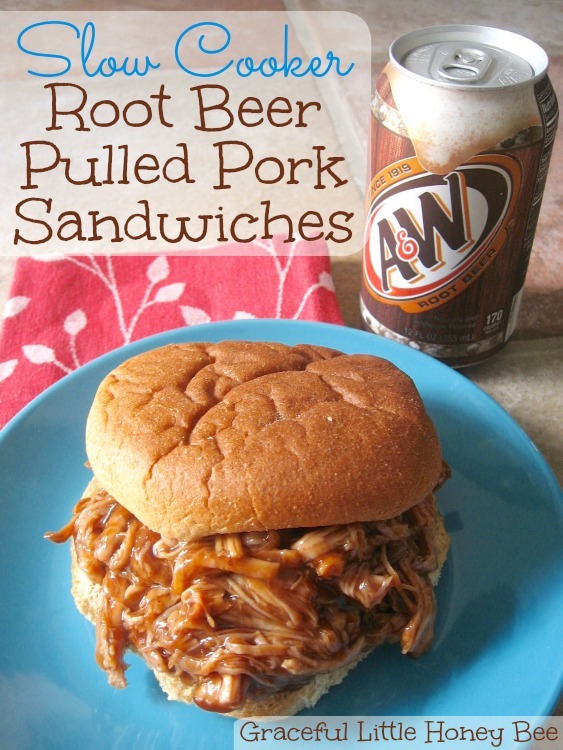 My favorite way to eat BBQ is a pulled pork sandwich and I’m kind of picky about it. I don’t want no thawed, minced meat you know what I mean? Anyway, this recipe is AMAZING. I swear it tastes just like a restaurant sandwich, but it’s a fraction of the price when you make it at home! You may be wondering about the Root Beer in the recipe. Don’t worry, your sandwich won’t taste a bit like soda. It’s used as a tenderizer during the cooking process and you will drain it off before serving. Easy slow cooker recipes are my favorite so I’m happy to be sharing this one with you today. Enjoy! Step 1: Place tenderloin in slow cooker. Step 2: Pour Root Beer, 1 cup BBQ sauce and Worcestershire sauce over tenderloin. Step 4: Shred meat and drain liquid. Step 5: Mix one cup BBQ sauce in with shredded pork. Step 6: Serve on buns. Place tenderloin in slow cooker. 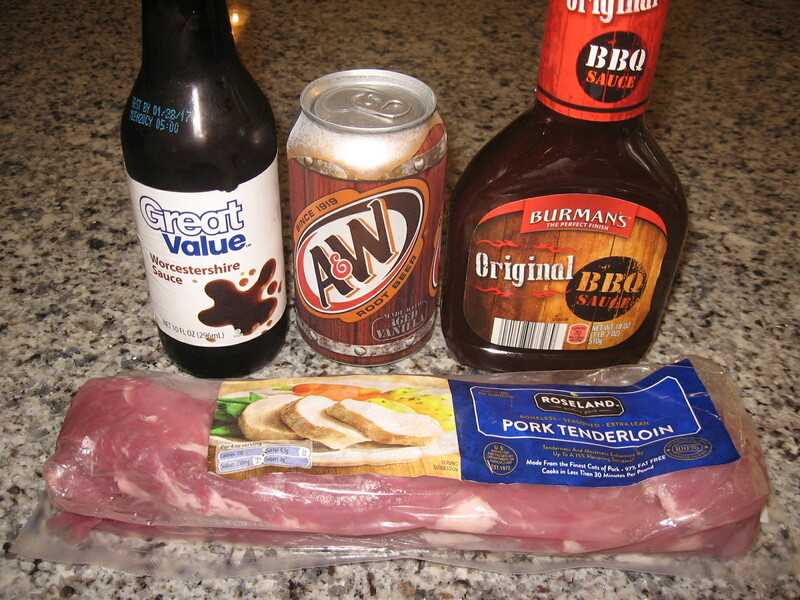 Pour Root Beer, 1 cup BBQ sauce and Worcestershire sauce over tenderloin. Shred meat and drain liquid. Mix one cup BBQ sauce in with shredded pork. That sounds so good! I bet my husband would love that, anything easy and pork and he is all over it. It's really good. I bet he will love it!! Yes, you can shorten the cooking time and cook on high, probably somewhere between 4-6 hours.